This article focuses on getting paid for water losses on commercial property. The writing is on the wall; it will become increasingly difficult to be fully paid for jobs involving a speck of mold/bacteria or Category 3 water in the future, if the property is not insured under a specially designed Environmental Impairment Liability (EIL) insurance policy. Restoration firms providing Emergency Response Plans to the commercial property owners and management firms in their area can cut the costs of this needed insurance by half. Changes in claims payment practices combined with universal exclusions for restoration work involving fungi/mold/bacteria have created the situation where 99% of all commercial property owners are severely underinsured for any loss involving a speck of any type of mold or bacteria in any sequence in the job. Being underinsured creates problems in getting paid when a property owner is dependent upon insurance to pay for a loss. 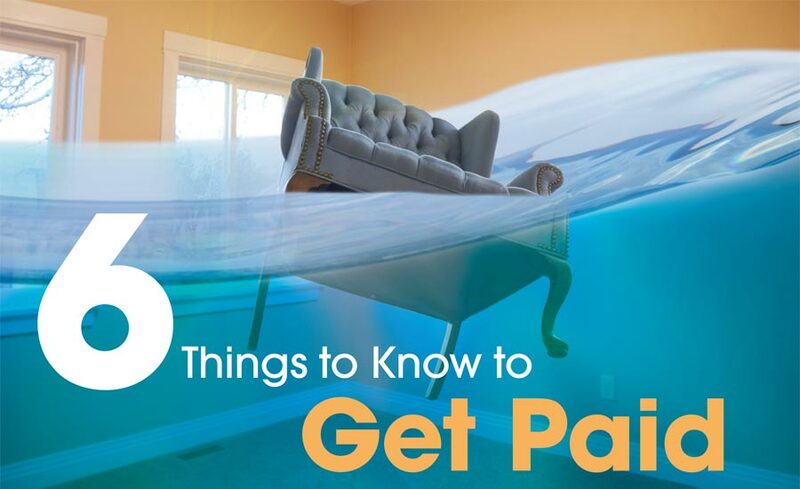 The good news for remediators is 99% of claims adjusters do not know how to pay for claims when there is a sublimit on the policy for mold or bacteria-related losses. The result is uncovered claims for losses involving a speck of mold or bacteria have been routinely paid for the last 12 years. However, things are changing fast in the claims business. Today, there is a much higher chance that a remediator will be left holding the bag with a bad debt for the work performed for underinsured property owner or manager.